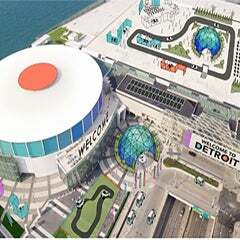 Detroit – January 30, 2017 – The Detroit Regional Convention Facility Authority (DRCFA) announced today that it is encouraged by Cobo Center’s financial progress and is near breakeven, a goal set by state legislature for the DRCFA, nearly seven years ahead of schedule. On January 23, the DRCFA paid down $13.5 million in taxable bonds which will save the state’s taxpayers approximately $11.7 million over the life of the bond issue or $7.75 million in present value dollars. The DRCFA completed a $279 million renovation and upgrade to Cobo Center on time and within budget in August, 2015. As a result of the renovation, Cobo Center has become more accessible, spacious and efficient in its use of space. The world-class convention center now offers spectacular views of the Detroit River and Canada, multiple new entrances, increased parking, public art and improved traffic flow to enhance visitor experience. Other additions to Cobo Center include a new entrance to Hall E, new banner supports for exhibitors, new graphic designs in the food court, and the addition of air curtains to improve the guest comfort level during conventions. In mid December, a two million-dollar technology upgrade was completed, which allows 32,000 simultaneous users on the facility’s Wi-Fi network. The impact of Cobo Center’s recent multi-year $279 million renovation as well as the increase in bookings has put the DRCFA ahead of its financial schedule. 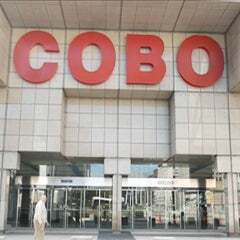 It was estimated that the city was losing $21 million year on Cobo Center when the DRCFA took over control in September 2009. In 2016, the DRCFA has reduced that loss to $280,000. 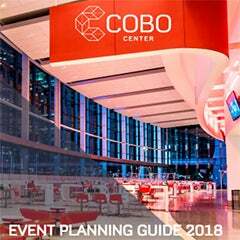 Since the renovation, Cobo Center has increased the amount of bookings and in 2016, Cobo Center hosted 16 city-wide conventions including the annual North American International Auto Show (NAIAS). The DRCFA hopes to repeat its success again in 2017 and 2018. Already this year, the 2017 NAIAS saw over 806,000 visitors including more than 5,100 journalists and nearly 40,000 executives and industry professionals attended NAIAS preview week. During a press conference at the auto show, Michigan Governor Rick Snyder and Inventor Dean Kamen announced that the annual FIRST (For Inspiration and Recognition of Science and Technology) student robotics competition will be coming to Cobo Center in 2018 for at least three years. Located downtown on the beautiful Detroit Riverfront, Cobo Center is one of the largest convention centers in the national and hosts nearly 1.5 million visitors annually.